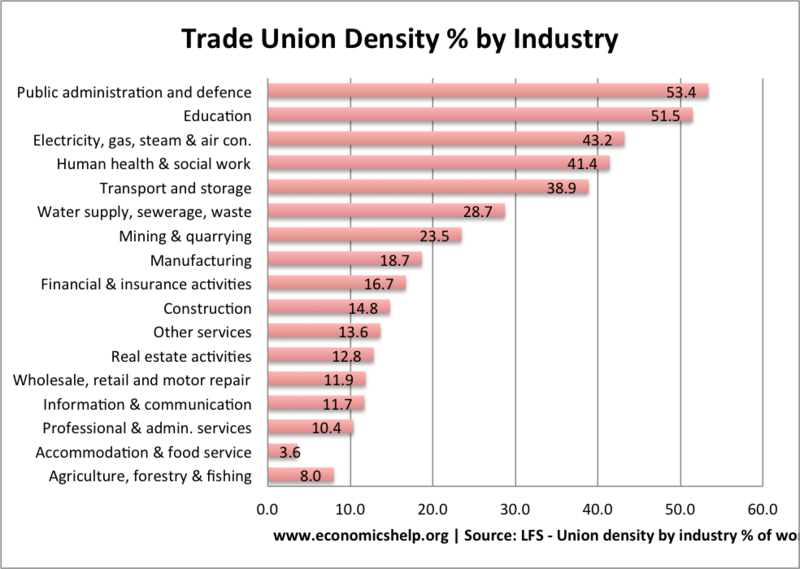 Trade Union density refers to the percentage of the workforce who belong to a trade union. 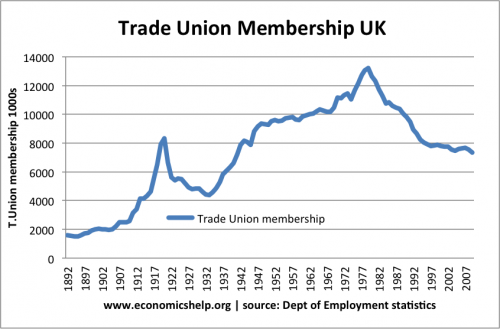 Since the early 1980s, there has been a steady decline in the density of trade union membership in the UK workforce. 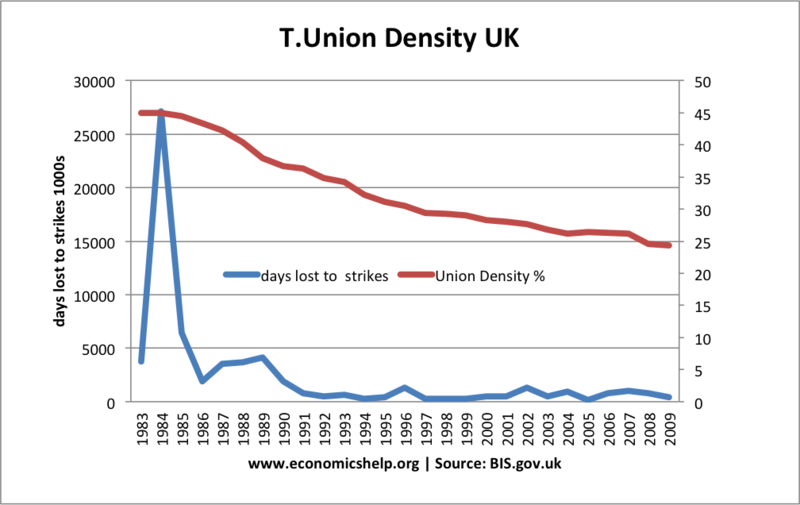 The decline in trade union density – matching the decline in trade union membership. The lowest union density is in accommodation and food service. Traditionally, trade unions were stronger in permanent full time jobs. However, the gap between full-time and part time and between permanent and temporary is less than you might expect. Evidence trade unions have expanded into part time and temporary sectors. The gap is more pronounced for men – with just 18% of men in part time jobs in a union. But, 29.5% of women in part time jobs. A bit different to union density – The percentage of workplaces where trade unions have a presence. 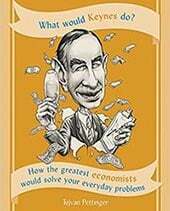 A huge gulf between public and private sector. 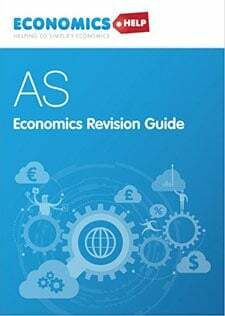 De-industrialisation. 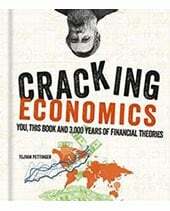 Industries which were once the bedrock of the union movement have seen rapid falls in employment. (e.g. coal mining employed nearly 450,000 men in 1945 – now less than 10,000). No history of unions in new industries. Industries like construction and info and communication have less tradition of trade unions, so it’s difficult to get a strong movement started. Increased competitiveness of globalisation encouraged firms to adopt a stronger anti-union stance to try and increase competitiveness. Higher long-term unemployment in UK since 1980s, means workers have less power and influence (unemployment stats). Typically those in trade unions have received a higher wage than non-unionised workers. 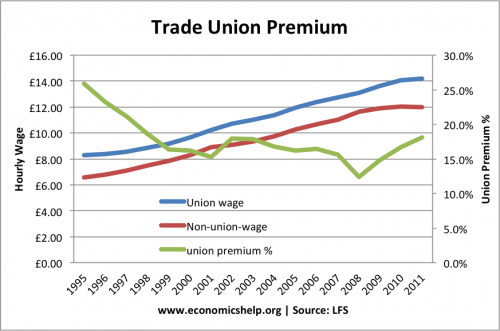 The ‘premium’ of being in a trade union has declined by a small amount – though there may be many factors affecting wage part from bargaining power of a trade union. 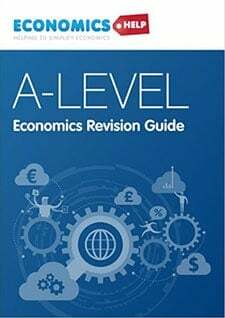 This entry was posted in economics and tagged labour markets, trade unions. Bookmark the permalink. 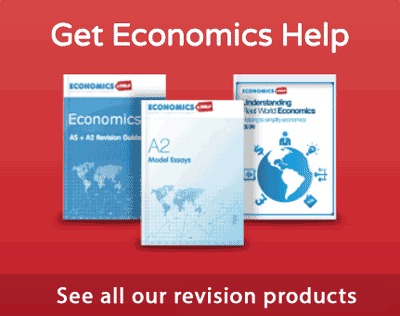 ← What Explains Differences in Economic Growth Rates?